When you are a child, often one of the very first lessons you learn from watching cartoons is that superheroes can come in all shapes and sizes and from all different backgrounds. Seven-year-old Matthew Sands of Pueblo Colorado would agree. Matthew’s experience with superheroes, however, comes from more than just watching cartoons; it comes from one scary accident that occurred last year. Caught up in the excitement of his show, Matthew had accidentally fallen off the edge of his parent’s bed and hit his head on their bedroom wall. When Tracy began asking Matthew questions and he couldn’t remember what had happened, she knew something was wrong. After running a CT scan, the doctor informed Tracy that a pocket of air had formed inside Matthew’s brain due to the injury and that he wanted to send him to Children’s Hospital of Denver for additional testing. His doctor immediately placed a call to the 24-hour communications center for CareConnect in La Junta, Colorado. Minutes later, Pilot Stephen Konegi, Flight Paramedic Ephron Brent, and Flight Nurse Laura Acker were touching down on the helipad at the hospital. After a safe landing, Laura and Ephron unloaded their equipment and went inside to meet their patient. Being parents, both Laura and Ephron understand how scary it can be when your child is sick, so they knew extra care would be needed with Matthew, his mom, and dad. 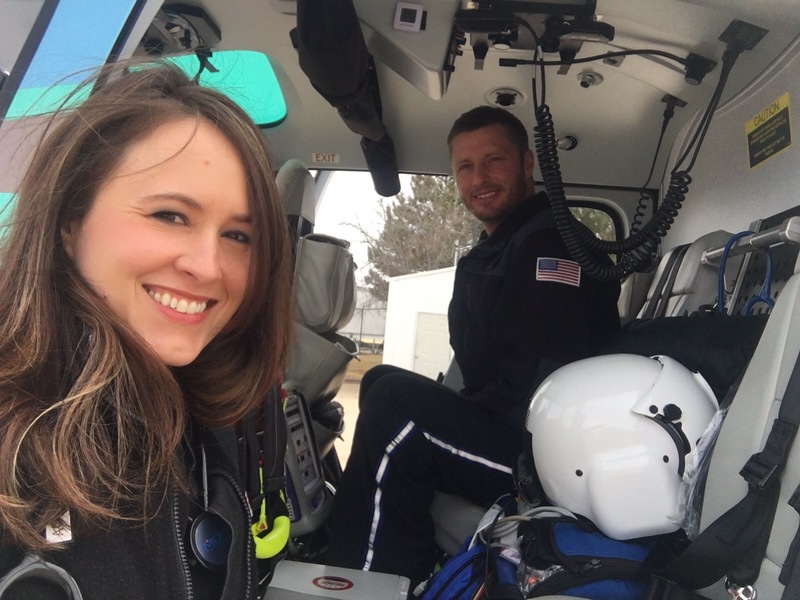 CareConnect Flight Nurse Laura Acker and Flight Paramedic Ephron Brent. After introducing themselves to the Sands family, Ephron began explaining the transport process while Laura got Matthew ready to go. 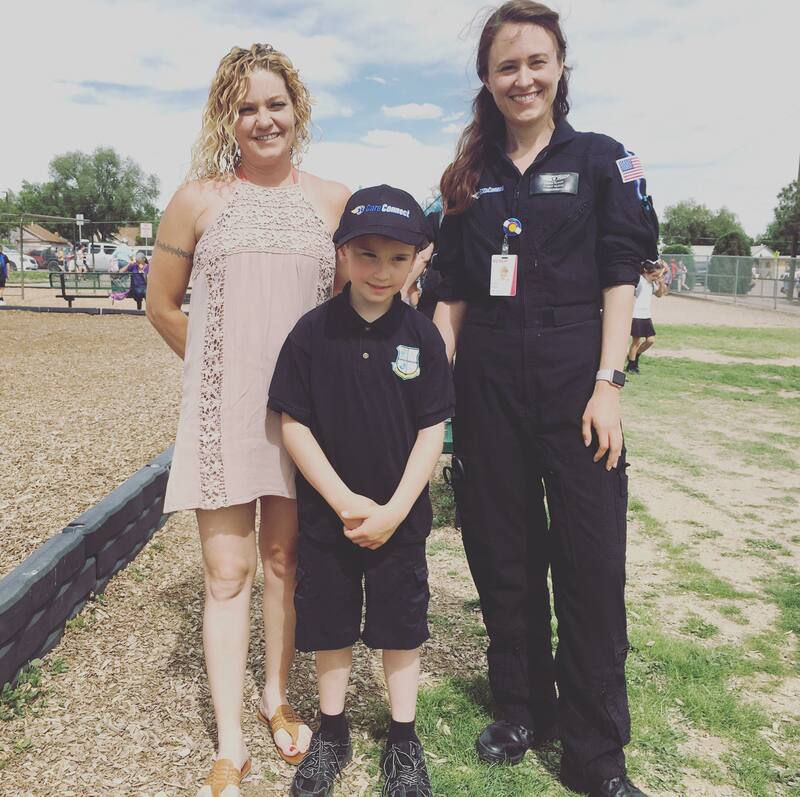 Because of the nature of Matthew’s injury and the potential for complications to occur in flight, Laura and Ephron consulted with the sending physician, REACH’s Medical Director and Matthew’s parents. They wanted to make sure they had a plan in place that everyone was comfortable with–one that would ensure Matthew arrived safely in Denver. With everyone in agreement on the flight plan and designated altitude, Laura and Ephron wheeled Matthew out to the helipad while Tracy followed behind. When they had everyone safely secured in the aircraft, Stephen lifted off for Denver. During the flight, Laura and Ephron worked hard to balance caring for Matthew and keeping him calm with conversation and a little sightseeing. Tracy and Matthew Sands with CareConnect Flight Nurse, Laura Acker. Being the mother of a little boy about Matthew’s age, Laura knew pointing out local landmarks and talking about cartoons would help ease his fears. Thankfully, the flight was smooth and without complications, and soon Stephen was touching the aircraft down at Denver Children’s Hospital, where another amazing team of clinicians would meet Matthew. After some additional testing, Matthew’s doctors discovered a hairline fracture in his skull. They advised Tracy that she would need to keep an eye on Matthew for the next couple of years to make sure that he did not suffer any complications from his injury, but they felt it was safe for him to go home. Today Matthew is back to his happy-go-lucky self, and his parents couldn’t be more joyful about it. The Sands family is happy about one other thing—their experience with some real-life superheroes.